Provence-Inspired French Farmhouse Decor Photos! 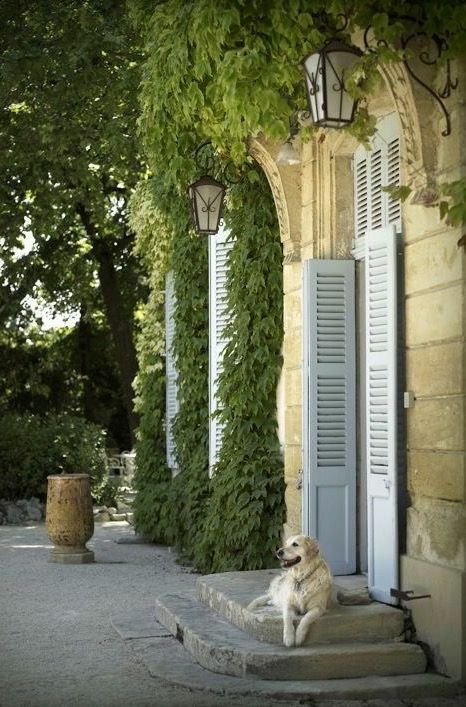 Miles of French Country style and Provence inspired lovely images of interiors and exteriors await in this Pinterest-worthy collection of photos, but first a secret. One of the perks of being a blogger of interior design inspiration is every once in awhile, one is treated to a brush with greatness. 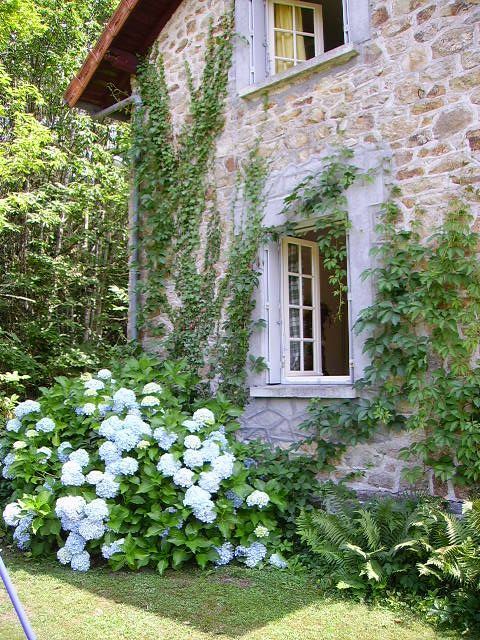 The French farmhouse “La Castellane” in the photo above belongs to the legendary designer Kathryn M Ireland, and I have long admired both it and her since discovering Kathryn’s book Summers in France. 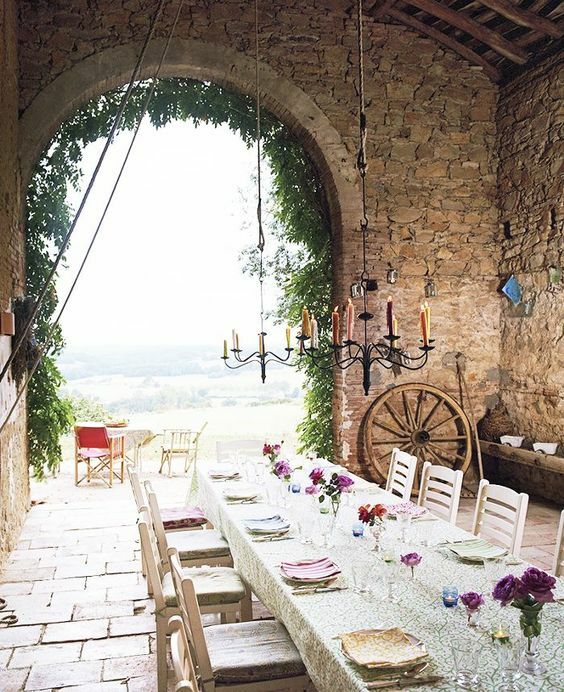 The home near the town of Montclar dates to 1760 and is located near hilltop towns in an area often referred to as the Tuscany of France. (No, I only wish I received an invite to Le Castellane!) Anyway, when I read somewhere online a couple of years back she was selling the family’s farmhouse, I could not believe it. The home represents more than twenty years of renovations and love breathed into it. The home served as Kathryn’s lab and launched her professional career as an interior designer. So the next chance I had to contact her about a quasi-related blog story, I asked how she was able to part with the treasure since I assumed it had changed hands. Kathryn told me her kids had a fit, she took it off the market, and that the boys would never let her sell it! Maybe a small thing to you, but for blogging designgeeks like moi, for a moment I felt like a design insider! Not to mention, I was relieved to hear La Castellane still belonged to the family. I haven’t corresponded with her in some time, so maybe some of you will know whether the farmhouse remains hers. Are you also tickled by the fact someone named Ireland who was born in England, raised in Scotland, and based in Los Angeles is leading off our French farmhouse parade? Ha! Curious about Kathryn M Ireland? Born in England and raised in London and Scotland, Kathryn Ireland arrived in Los Angeles in 1986. Prior to launching her interior design business in the early ’90s, Kathryn was an actress, clothing designer, and filmmaker. Today she is considered one of the most influential interior and textile designers in the world. 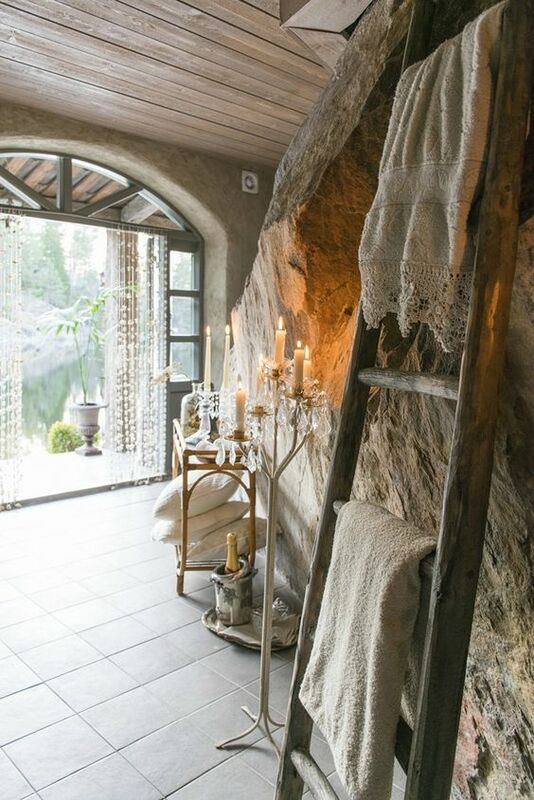 This collection of images sourced from around the web, Veranda, Country Living, Segreto Finishes, Velvet and Linen, My French Country Home, and Pinterest represents beautiful French Farmhouse, French Country, Old World, French Nordic, French inspired, and European Country interior design goodness around the globe. French Country and French Farmhouse inspired home decor and furnishings are also weaved in with affiliate links to sources of lovely in the same spirit. You won’t pay extra for using these links, yet I’ll earn a small commission (yay!). Meet me at the finish line after all the visual inspiration to share your thoughts. Maybe these decor ideas are obvious outside of mainstream America, but one google or browse ’round Pinterest, and it would seem there are more than a few contrived attempts at the look which can fall flat and result in a less than charming outcome. 1. 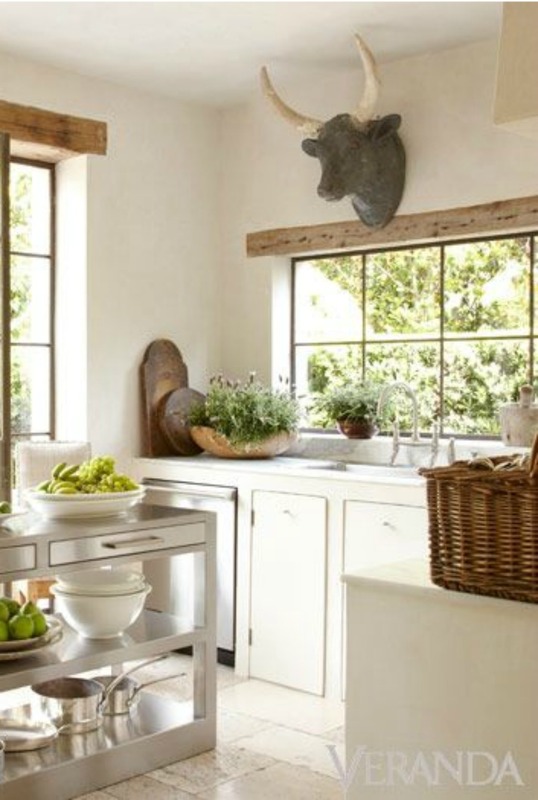 Think about the context of French Farmhouse style. 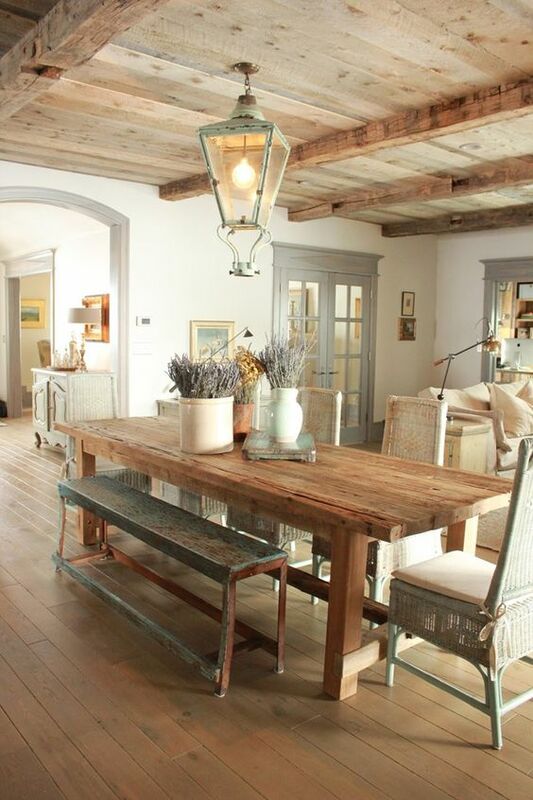 French farmhouse style originates from the lovely landscape of rural France with its hills and valleys. If you can’t travel to the south of France, do spend time online or at the library in order to better understand the romance and allure. 2. Study the layering and mixing the French do so masterfully. 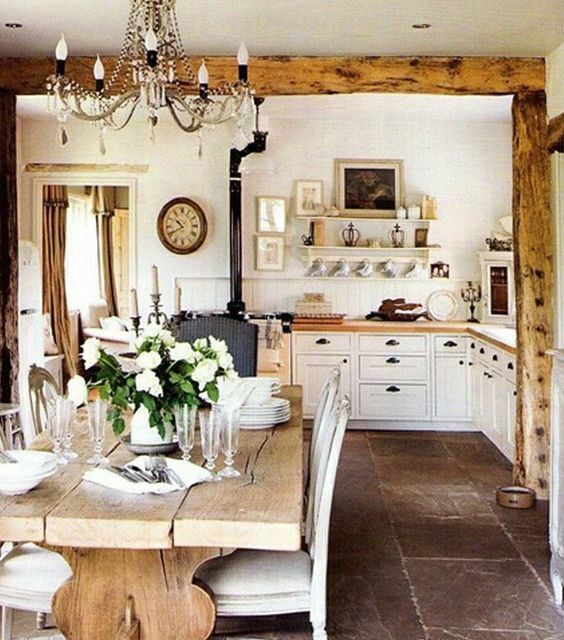 There is often a sense of refinement in French Country homes where a mix of old and new result in interiors which feel balanced and sensible, yet soulful and interesting. Old World charm and collected antiques and family treasures impart a sense of rich character. 3. Train your eye to see beauty where things don’t match. Many Americans still opt for matchy furniture which would never do for a French farmhouse. 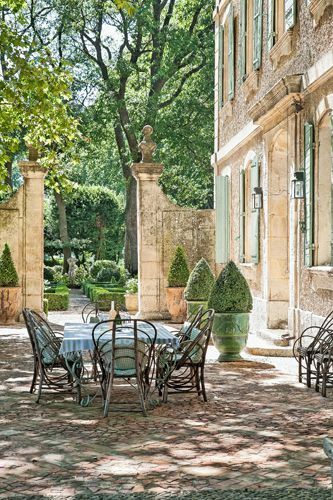 The French country approach to furnishing a home is more organic in creating a harmonious and unhomogenized look that is truly undecorated and never overwrought. 4. Distress is not Distressing. 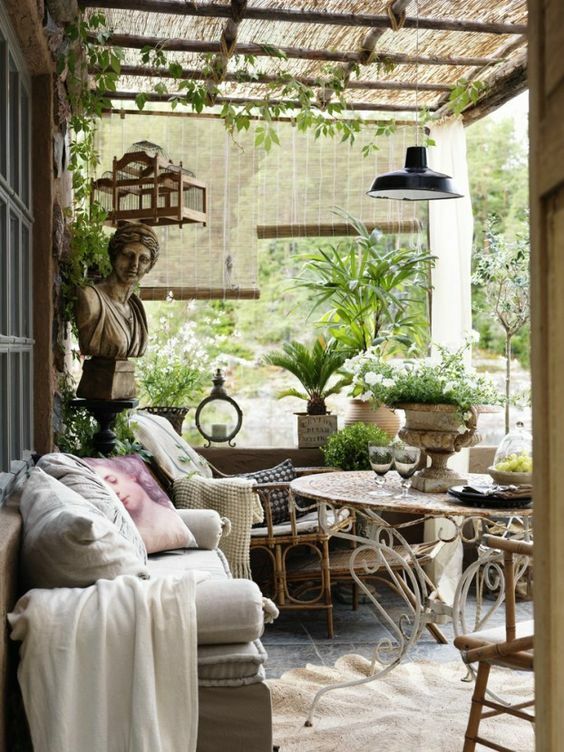 As French Country is a style which imparts a sense of age and tradition, scratches, rust, and signs of wear are to be celebrated. Antiques and vintage pieces are treasured with their desirable patina. While Americans rush out to buy a new rug after it fades or frays, their European counterparts might prize the threadbare rug. 5. Trendy trends? Mais non. Instead of jumping on the trendy bandwagons, see the beauty in timeless, tumbledown, and timeworn finishes, patina, and character from age and wear. Follow me on Pinterest. Follow me on Instagram. Like me on Facebook. Previous Post 12 Kitchen Decor Items & Essentials in My Kitchen I Can’t Live Without! Such a wonderful book! And I like my potato salad warm too. 🙂 Happy weekend, Tracy. Wow, every picture is just Chalked full of AMAZING! So happy you like! Happy weekend, Leticia. 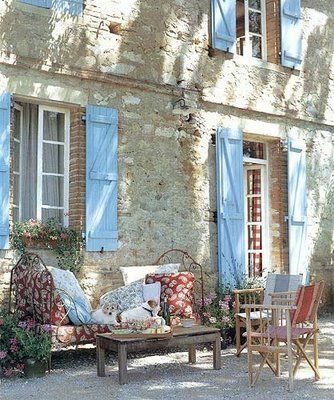 This post was like reading my favorite book or magazine of Country French decor. Just gorgeous! Every photo, every suggestion, beautiful! Thank you for bringing Lovely to me this morning. So many of these French-inspired views I really like! 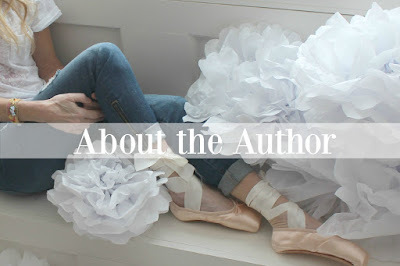 Every day I anticipate your blog posts to see what’s next to bless and inspire my soul. Thank you! 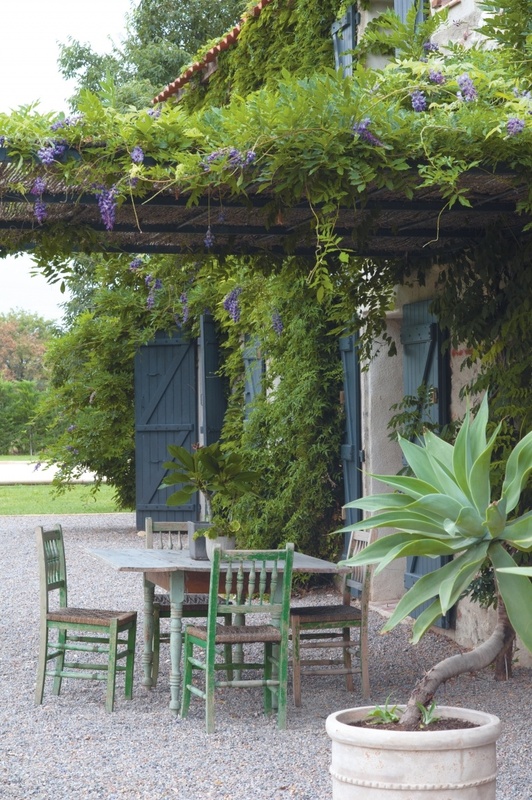 Perhaps I’ll do up a French garden, loaded with lavender bushes, for my own blog. I’m so glad, Jo. If you do, let me know and I’d love to add a link to your post in one of these French Country posts mentioning lavender for readers to discover, and maybe it will make sense for to link to my French Country post – win/win! 🙂 Happy Saturday, friend. 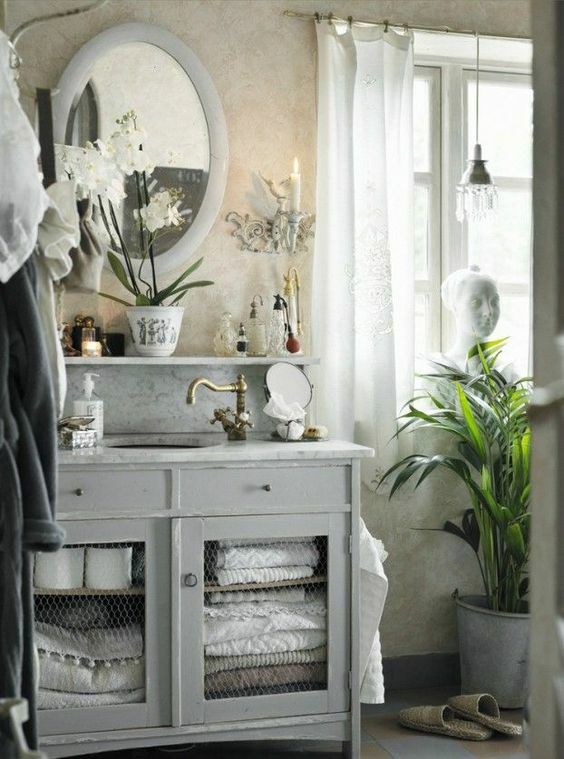 Beautiful post…how we love French design! I first discovered Kathryn Ireland on a TV show called something like “Million Dollar Decorators.” I loved her and her sassy attitude! Her home is lovely, a true labor of love. And, her fabric line is gorgeous as well.